It’s the end of March, and right on queue the earliest of the early spring-bloomers have arrived! 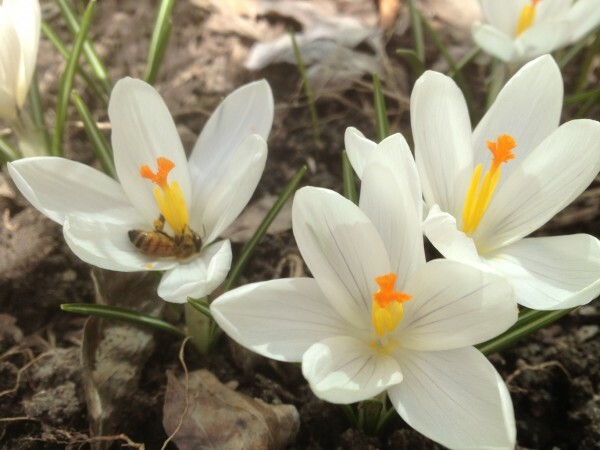 In the West View Terrace Crocus vernus ‘Jeanne d’Arc’ (Dutch crocus, giant crocus) is accompanied by honey bees. This corner of the terrace is one of the warmest locations in the garden. As ever, I am keeping tabs on all the hellebores in the garden. Helleborus x hybridus ‘Blue lady’ (Lenten Rose) is almost fully in flower and just in time for Easter in the Entry Garden. 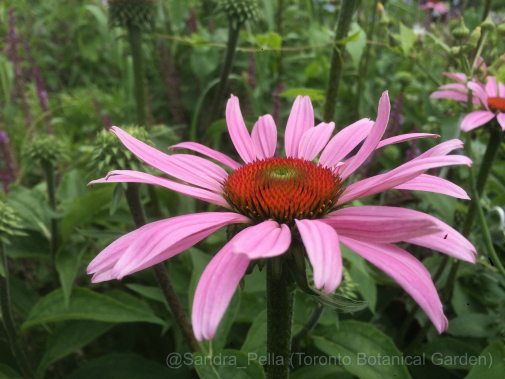 I’ll be out this week removing all of last year’s foliage to make way for the blooms and fresh foliage. The blooms of Hamamelis x intermedia ‘Diane’ (Witch hazel) in the West View Terrace, have opened in the last few weeks. 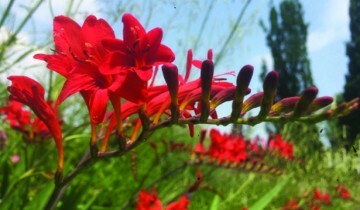 The ribbon-like flowers are a coppery-red, and are mildly fragrant. A few Galanthus nivalis (Snowdrop) have been in flower since January, but as of today there is a lovely drift in the Demonstration Courtyard. Crocus are popping up everywhere – including where they were never planted, at least not by a gardener. Perhaps the squirrels have made some adjustments. Above, you will find these beautiful yellow crocus, and also white crocus, in flower in the warmth of the Floral Hall Courtyard corner bed.